Before my EB (ghost) hunter Jessica Backman took on a doppelganger in New Hampshire and a hundred angry souls on Ormsby Island, she had a terrifying investigation in the world famous Woodlawn Cemetery in the Bronx (the very cemetery I grew up next to). Originally published as a novella called The Graveyard Speaks by Samhain, it’s been out of print since 2016 when Samhain closed its doors. Hmmm, maybe Jessica can look into the ghost of Samhain. Anyway, I found the file and for a limited time have made THE GRAVEYARD SPEAKS available for subscribers to my Dark Hunter Newsletter. So, if you haven’t already subscribed and want to see what Jessica was up to in a dark cemetery in the cold of winter, sign up today! Some secrets can’t stay buried. Deep in a dark, snow-covered cemetery, a terrifying, moaning apparition rises from the same grave night after night. Even the most hardened caretakers won’t go near the Spooner gravestone on their midnight rounds. Only one ghost hunter has the will to face the unknown, but at what price? In the chilling blackness, only Jessica Backman is prepared to answer the spectral cry from beyond when the graveyard speaks. Get your free copy of THE GRAVEYARD SPEAKS. 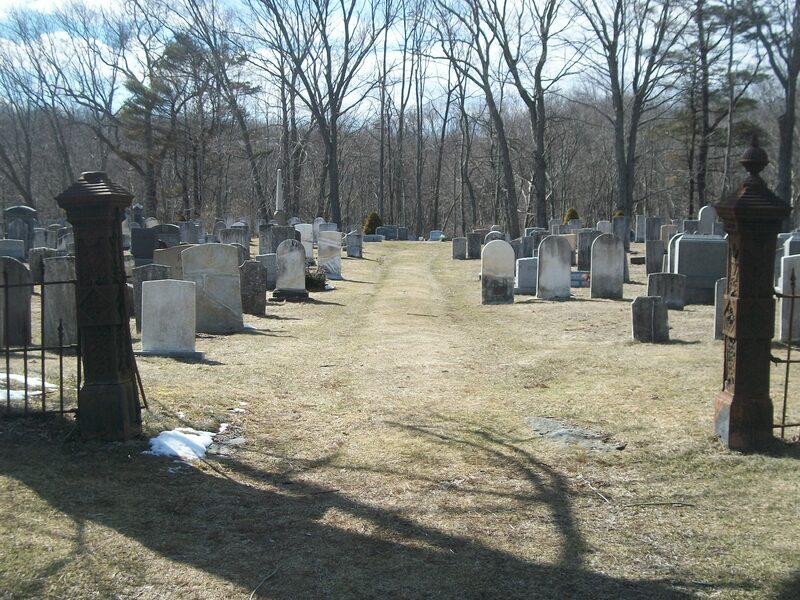 Growing up across the street from a cemetery, I never thought I’d actually want to hang out in one, especially one that is purpotedly the most haunted cemetery in the northeast. But, thanks to fellow Monster Man Jack, we packed up our gear and headed for the Union Cemetery in Easton, Connecticut on a cold but sunny Saturday. You can watch the video of our visit here. A little background on the Union Cemetery. It first came to be in the late 1700s and still hosts new internments today. Sightings (and even recorded ones) of The White Lady, a pair of glowing, menacing eyes, voices, shadows and physical interactions have all taken place there. No one knows the origins of the apparitions that are heard and seen in and around the cemetery. Ed and Lorraine Warrren spent a great deal of time walking & investigating the grounds and even wrote a book about it called Graveyard. Jack and I and our friend Anthony went there during the day because the cemetery is small and heavily policed at night. 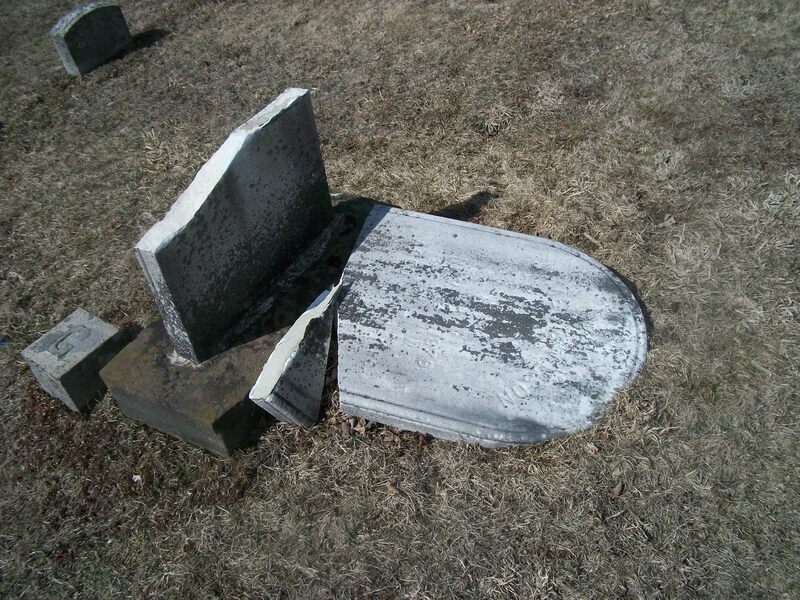 Vandals laid waste to the graveyard last August and we saw plenty of broken and shoddily repaired tombstones. A word of caution. If you go there at night, you will be arrested. It’s a small cemetery, flat and open and surrounded by 2 main roads. Knowing this, we set about doing a daytime investigation, since I believe that although the freaks come out at night, true hauntings don’t have a time clock. When we first arrived, we spent a good deal of time walking through the cemetery, trying to read tombstones hundreds of years old, and just getting a feel for the place. Because it’s so tiny and open, I didn’t get that special tingle up my back I tend to feel in large bone orchards. The weight of history is heavy there, and it’s really a tremendous historical place to visit. It’s a shame that vandals saw it fit to topple so many monuments. There’s also been a good share of occult activity taking place there – another good reason to avoid any nighttime excursions. We tried EVP sessions at multiple locations, taking turns asking questions and often leaving the recorder atop graves in the hopes that someone would want to reach out to us. At one point, I laid down on a very old grave in an attempt to get closer to any spirits, and put myself in their shoes. The tombstone had a creepy angel head etched on it, as you can see below. 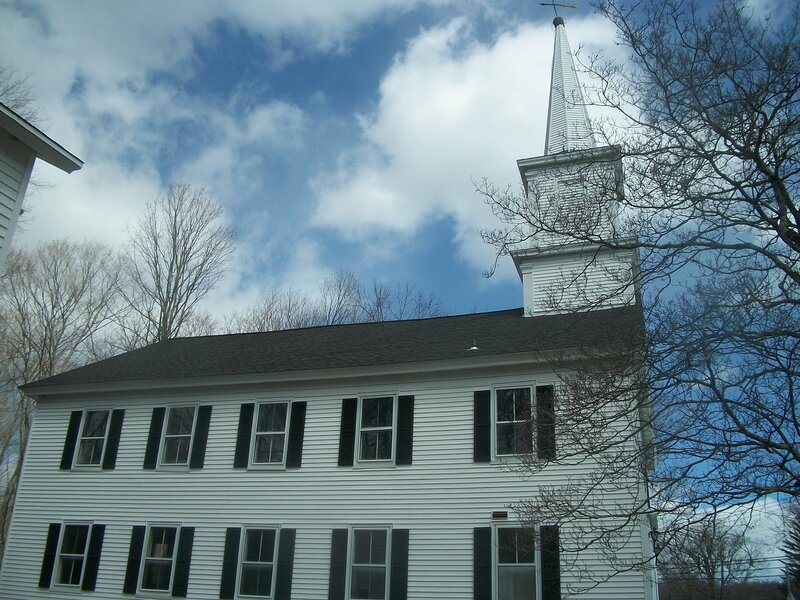 There’s also an old Baptist church connected to the cemetery. When Jack was there over 15 years ago, he caught what looks to be a face in one of the windows. We took lots of pics this time around. It could have been a trick of the light, as each glass window also has a plastic covering. Add sunlight and treee branches to the mix and anything can happen, but it adds to the spooky factor. Before I get to the EVP part, here are some more pictures of the cemetery…..
Paranormal ‘experts’ claim that running water can provide energy for spirits to make themselves known. We found a good sized creek that runs along the back end of the cemetery. Could that be what energizes the White Lady? OK, now for the good stuff. We weren’t just out to find the White Lady, but we did devote one EVP session exclusively to her. About a minute in to the session, Jack asked if she was here with us. My daughter, Ivy, did the first level of audio review. She and I both found audio bits that could have been footsteps and a possible sigh, but it was the answer to the question put to the White Lady that made our hair stand on end. We heard a soft but firrm “Yeah.” We play it several times in our Union Cemetery Monster Men episode. Click on over to hear it and tell us what you think. We’re leaving it open for debate. Did we see the White Lady? No. Did she speak to us? Maybe. Will we return? Definitely. We’ve only just begun. Have you ever been to the Union Cemetery? If so, do you have a story to tell? If you live in the New York tri-state area and know of other haunted cemeteries, let me know. We’re always up for a dalliance with the dead. Want to help me haunt the world? For folks in the US only, spread the word about my novel, Sinister Entity, as well as the companion story, The Graveyard Speaks, on Twitter, Facebook, you name it, and you can win a Prize Pack that includes signed copies of my first two books, Forest of Shadows, & Evil Eternal. Think of it as advancing literacy and a love of the paranormal. Here’s how you do it. If you’re on Twitter, tweet the books with a link to them (Amazon, B&N or Samhain) with the hashtag #HunterShea. Promote them on other social media platforms and send me the link either on my FB fan page (link to it on the right) or email me at huntershea1@gmail.com. Once I see it, you’re in the drawing. One winner will be announced Friday, April 19th. And knowing me, I’ll have some extra goodies to give out.